From prehistoric time to the present, one blood line has endured. 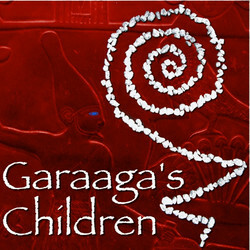 Garaaga's children range from the Indus Valley to Mesopotamia to Jerusalem and beyond, influencing ancient civilizations, mighty crusades, and everyday lives. The stories of the god Garaaga, his half-human progeny, and their supplicants have been passed down through the generations. Leaving a frightful, lustful, body-strewn trail through the ages, Garaaga's children and worshipers have survived to spread their religion around the world. These are their histories – Garaaga's Children. Written by Paul Elard Cooley, the 2010-2011 Podcast Award Nominated author of Canvas, Tattoo, Closet Treats, and Stuffing. We will send Garaaga's Children - Volume 1 to your Kindle at . Garaaga's Children - Volume 1 has been sent successfully to your Kindle!